As the UK marks the centenary of women’s suffrage, Frieze is promoting female artists this week. The talks programme at Frieze Masters is devoted to female artists, while Social Work, a new section at Frieze London, focuses on women who challenged the art market in the 1980s and 1990s. But how far is this drive towards equality reflected in what galleries are showing at Frieze? A survey of all exhibitors at Frieze London found that female artists are still in the minority: around 39% of the artists shown by galleries in the fair’s main section (not including Social Work) are women, while 61% identify as men. The imbalance is greatest among more established galleries dealing in higher-value works, but the gap narrows in the Focus section for younger galleries, where around 44% of the artists are women and 55% men (one artist, Elle Pérez, uses gender-neutral pronouns). Live is dominated by female artists (seven, to two men), while at Frieze Masters, in the Spotlight section for rediscovered artists from the 20th century, there are 13 men and ten women. Our listings of exhibitions in central London this week reveal that 45% of solo shows in public institutions feature female artists, while commercial galleries lag behind—only 27% of selling exhibitions are of female artists’ work. The disparity is most marked at auction, particularly in high-value evening sales. In the evening sale of post-war and contemporary art at Christie’s tonight, only two of 56 lots are by women. In tomorrow’s evening sale at Phillips, there are seven works by female artists among 37 lots, and at Sotheby’s, two women in 42 lots (the 25-lot evening sale of the David Teiger collection includes six works by women). To celebrate the tenth anniversary of her eponymous London gallery, Pilar Corrias has mounted an all-female stand at Frieze London. “Things are improving for women—the situation is a lot better for the younger generation—but we are going backwards if you look at Trump and the growth of far-right politics around the world,” she says. “That is not going to be in favour of women’s rights. So there is a real polarity.” Championing equality is, she thinks, necessary for change. “Things will have to swing the other way, towards women, before they settle in the middle,” she says. Corrias stresses the importance of financial independence; with childbirth still “a barrier to female artists keeping working”, being able to afford childcare is crucial to ensure that careers are not cut short. 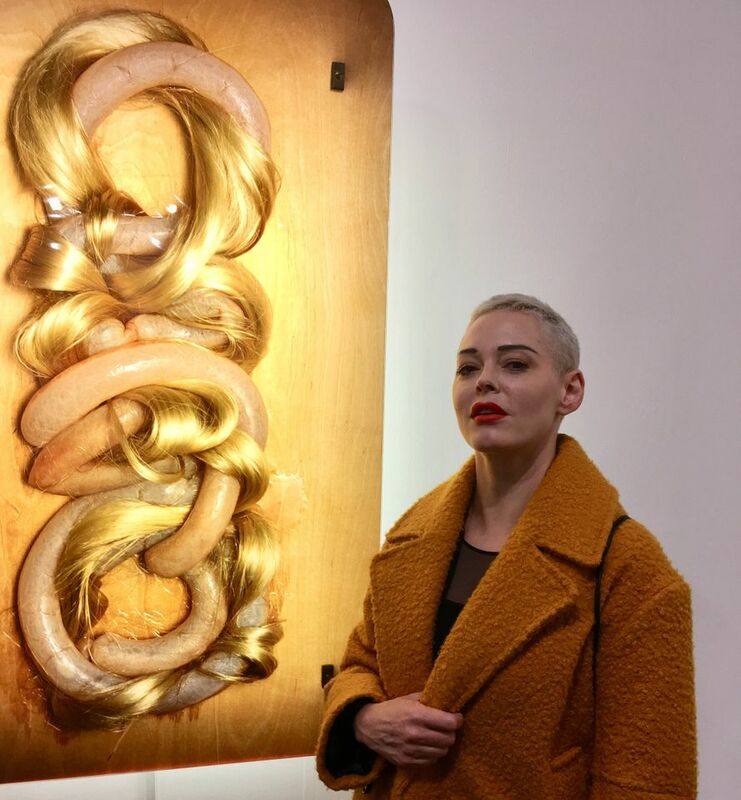 Yet there is still a demand for female artists, both young and old; Corrias says that six of the female artists aged between 25 and 35 whom she represents have long waiting lists, and yesterday, David Zwirner sold all of its works by female artists at Frieze London, including Carol Bove ($350,000-$750,000), Suzan Frecon ($180,000), Bridget Riley (£600,000), Rose Wylie (£150,000) and Lisa Yuskavage ($900,000). The tendency for male artists’ work to be more highly valued benefits those artists from the start of their careers, says Anders Petterson, the founder of the analysis company ArtTactic, which recently released its first NextGen Artists Global Report, looking at artists aged 40 or under. It found that 85% of the artists surveyed who frequently sell works at auction are male. “The gender bias in the auction market is created at the outset of an artist’s career, and becomes hard to rebalance as the career matures,” Petterson says. He suggests that this could be due to a male-dominated clientele. According to ArtTactic’s report, the primary market is more balanced, while museums lead in the parity stakes, with close to 50-50 exposure in exhibitions. Michael Govan, the director of the Los Angeles County Museum of Art, says its curators will only propose acquisitions of works by female artists for the next year. The goal, he says, “is parity that reflects society”, but “we still have a long way to go”. Could this concentration on female artists raise prices? “If we’re lucky, we’ll price ourselves out of the market,” he says.